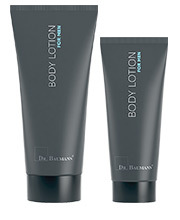 The unique, fast-absorbing body lotion provides demanding men’s skin with excellent moisture especially after showering. Macadamia and jojoba oils care for the skin intensively and keep it supple. Natural vitamin E and panthenol provide protection and regeneration.